About: Rebecca Whitney completed a BA in Creative Arts at Nottingham Trent University, and found much of her art and performance work inspired by a lifelong fascination with the written word. Her other love is film, and on graduating she moved to London where she worked in production, moving up from tea girl to producer and executive producer on music videos and commercials. After taking a career break to have children, Rebecca returned to Sussex where she’d grown up, and there her passion for literature was rekindled. 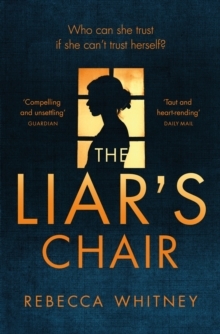 In order to discover if she had a book in her, she completed the Creative Writing Certificate at Sussex University, and it was on this course that The Liar’s Chair germinated. After completing the novel, Rebecca secured a two book deal with Mantle/Pan Macmillan. She is currently working on her second psychological thriller; a standalone book about new motherhood and paranoia. 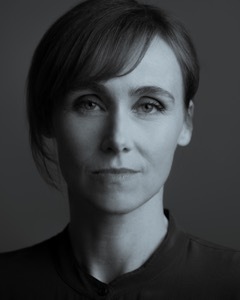 As well as writing, Rebecca also teaches for Guardian Masterclasses and the Creative Writing Programme in Brighton. She writes features for newspapers and magazines, and is strongly influenced in all her work by women’s issues in contemporary society. I’ve been on many festival and library panels to do with debut authors and psychological thrillers, especially the Domestic Noir. I also take part in Dark and Stormy events (a Brighton crime writers’ collective) as well as Beach Hut Writers (a more general Brighton writers’ collective). I’m very interested in the psychology of character, and have taught Masterclasses with an associate who works as a clinical psychiatrist.